Most small business owners will have heard of Making Tax Digital (MTD), but what exactly is it and what does it mean for your business? It’s been a hot topic in the world of finance and accounting since the government announced its plans in the spring 2015 budget. There’s no shortage of information and tax advice relating to MTD, and in fact, it can feel like there is an overwhelming amount. For those of us who aren’t financial experts, it can be confusing and hard to understand exactly what the obligations of small business owners will be under the new rules. MTD comes into effect on 1st April, so now is the time to make sure you understand the implications of the changes and that your business is prepared. The financial experts at wedoaccounting.co.uk have put together a handy guide on MTD to help you. HMRC introduced MTD to simplify and streamline the process for paying tax. Incorrectly filed tax costs the Exchequer £9 billion per year. For businesses, mistakes cause disruption and stress. If you are a small business owner, it is likely that you will be required to maintain digital records using compatible software from 1st April. If you currently rely on paper files, don’t panic. Only certain information, such as VAT-related transactions, must be recorded digitally, and you will be expected to update these frequently to ensure full compliance. When will MTD apply to my business? If you own a VAT registered business with a taxable turnover of more than £85k, you must use the MTD service to maintain digital tax records from 1 April 2019. You will also be required to use compatible software to submit your VAT returns. There will be a small minority of VAT-registered businesses that are exempt from the 1 April deadline. If you are deemed to have sufficiently complex requirements, your obligations under MTD will be deferred until 1 October 2019. Making Tax Digital is being rolled out in three phases. From April 2020, under phase two of MTD, any business falling below the £85k VAT threshold will also be required to comply. Income and corporation tax will go digital later in 2020 as part of phase three. HMRC’s ambition is to become one of the most digitally advanced tax administrations in the world. To that end, over the course of the next few years, MTD will be applied as widely as possible. Failure to comply will result in penalties, which could be significant. 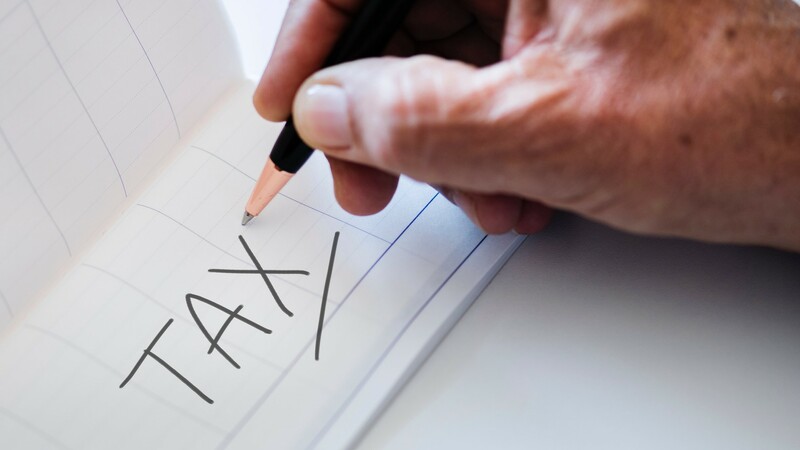 If you’ve been putting off preparing for MTD, now is the time to seek tax advice and ensure that you understand your obligations and have the correct systems in place. None of us like change, especially if it comes in the form of new obligations and red tape. However, MTD doesn’t have to be a burden. Instead, use it as an opportunity to streamline your accounting processes and implement more effective business management systems. Maintaining records and filing tax digitally will allow you to more effectively monitor income, expenses and profit. This will give you the “bigger picture” view, making it easier for you to make informed business decisions. How do I make sure I am MTD compliant? Still feeling confused and overwhelmed? Despite the abundance of information, advice and guidance available, which can make Making Tax Digital sound highly complex, staying MTD compliant is actually fairly simple. If MTD applies to you, you must keep digital records. Digital records are those captured and stored in an electronic/digital format, which can be viewed on a computer or other electronic device. If you use an accounting system, entries will be deemed to be digital records. You may also need to make digital copies of existing paper records. HMRC has specified which data must be stored digitally. If you wish, you can leave the rest in the filing cabinet, however, there are many advantages of going paperless in your business. Designatory data (business name, address, VAT number and VAT schemes used); supplies received (date of supply; value of supply, including any non-reclaimable VAT, and amount of input VAT to be reclaimed) and your VAT account must be stored digitally. A digital link is an electronic or digital transfer of data between software programs. Once your data has been entered as a digital record on your system, you must use digital links if you need to transfer or modify the data at a later date. Using “cut and paste” is not sufficient. The record must remain digital as it moves within and between systems. Not all software is made equal and you must ensure that your chosen system is MTD compliant. If you’re not sure where to start when sourcing appropriate software, take a look at HMRC’s list of software developers. You can check if your existing software is compatible and find out where to get compatible software if your current system isn’t up to the job. The software you choose must allow you to submit VAT returns (and keep records of sales and purchases) and send Income Tax updates (and keep records of income and expenses). Are you reluctant to move away from the software you know and love? Moving to a new system can be daunting and time-consuming. Why not ask your existing provider what its plans are for making its software compatible with MTD? Accountants must ensure that suitable software is in place before they sign a client up for the MTD service. If you don’t already have one, now might be the ideal time to engage the services of an accountant to do all the work for you and provide you with all the tax advice you need. Making Tax Digital may seem daunting, but the government’s intention is to help small businesses — not to trip them up. If you read the guidelines provided by HMRC, keep your eye on deadlines and make sure you have the necessary systems in place by 1 April, you’re unlikely to have any difficulties and will avoid hefty non-compliance penalties. More on Making Tax Digital and VAT.